In May, President Obama signed the Defend Trade Secrets Act (“DTSA”) to provide a federal law for protecting trade secrets. Prior to this law, trade secrets were the only aspect of intellectual property that was not federally protected. While the DTSA unifies and harmonizes trade secret laws in the U.S., the DTSA does not preempt the state trade secret laws. The nature of trade dress remains substantially the same as before the DTSA in that a trade secret is information for which reasonable measures are taken to protect the information and that derives independent economic value from not being generally known. The DTSA broadly defines information that can be the subject of a trade secret. While many trade secrets are included in tangible documents, it is possible for intangible information to be a trade secret. The best feature of a trade secret is that it is not necessary to file any documents to claim that the information is a trade secret. The trade secret comes into existence when steps are taken to protect the information. 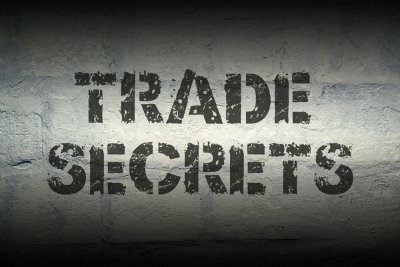 Trade secrets should be identified as confidential to minimize potential challenges that the information is not a trade secret. Access to the trade secrets should be restricted to only those people who need access to the information to minimize the potential of unauthorized disclosure. It is advisable to periodically remind persons who have access to the trade secrets of the importance of keeping such information confidential. Misappropriation occurs when the trade secret is obtained through improper means or when the trade secret is disclosed without permission. Examples of improper means include theft, bribery, misrepresentation, breach or inducement of a breach of a duty to maintain secrecy, or espionage through electronic or other means. Trade secret misappropriation does not include reverse engineering, independent derivation, or other lawful means of acquisition. The primary benefit of the DTSA is that a trade secret misappropriation lawsuit can be filed in federal court. Over time, it is anticipated that the decisions of the federal courts, including the Supreme Court, will result in the development of more consistent trade secret protection, much like the manner in which patents, trademarks, and copyrights are protected. A primary remedy associated with an action under the DTSA is an injunction that prohibits the defendant from continuing to use the misappropriated trade secrets. The plaintiff can also receive damages associated with the plaintiff’s actual loss resulting from the trade secret misappropriation, as well as the defendant’s unjust enrichment beyond the plaintiff’s actual loss. Alternatively, the plaintiff can recover a reasonable royalty associated with the defendant’s trade secret misappropriation. In situations where the court determines the defendant willfully and maliciously misappropriated the trade secrets, the court can award enhanced damages of up to two times the amount of the determined damages. Liability for trade secret misappropriation extends to not only the person who misappropriated the confidential information, but also to the person who received the confidential information under circumstances in which the receiving person had reason to believe that the disclosure was not permitted. Both plaintiffs and defendants have the ability to recover attorneys’ fees relating to actions brought under the DTSA. A plaintiff can recover attorneys’ fees if the court determines that the trade secret was willfully and maliciously misappropriated. A defendant can recover attorneys’ fees if the court determines that the action was brought in bad faith. Bad faith can be established by circumstantial evidence. A significant difference between the DTSA and most state laws is that it is now possible to get court approval to seize objects containing trade secrets without giving notice to the defendant. Similar to ex parte procedures in other contexts, the plaintiff needs to show that an extraordinary situation exists such that, if the seizure is not granted, the defendant will likely act to further impact the value of the trade secret. The seized material is taken into the custody of the court that is then under an obligation to protect the confidentiality of the seized material. Significant trade secret theft occurs outside the U.S. that impacts U.S. companies. In an effort to address this issue, the DTSA permits claims to be brought for conduct outside the U.S. if the offender is (1) a citizen or permanent resident alien of the U.S. or (2) a company that is organized under U.S. law or a political subdivision thereof. It is also possible to bring a claim under the DTSA if an act in furtherance of the trade secret misappropriation was committed in the U.S. Persons who experience trade secret theft abroad are encouraged to report such incidents to the U.S. Attorney General. Business agreements typically address the handling of confidential information disclosed between the businesses. Agreements that were prepared before enactment of the DTSA should be reviewed to evaluate the potential impact of the DTSA. For example, an agreement may state that the disclosure and use of confidential information is to be governed by state law, even though the DTSA may provide superior protections against unauthorized use or disclosure of the information. Because the DTSA represents one of the most significant changes in the U.S. intellectual property laws in quite some time, it is likely that there will be questions regarding how the DTSA affects your business. Please contact your attorney to further discuss.